In order to help a company to thrive, there are a lot of elements that must work together. A strong workforce, a good product, a smart marketing strategy, good leadership - all of these factors need to fit together seamlessly to form a proper company machine. For these to come about, there is nothing more important than strategy. A lot goes into a solid business strategy, and the most successful business leaders train for years to develop the kind of business acumen that produces long term results. As such, there are also a lot of factors that play into a successful business strategy - things like hiring, onboarding, sales, forecasting, marketing, and so on. Right now however, we are going to focus on just one element, and that is training up a strong workforce -and more specifically, training through enterprise gamification. Here are a few ways in which gamifying work can improve overall strategy. Employee engagement levels are at a dangerous low right now, with only 33 percent of employees feeling engaged in U.S. workplaces. Employee engagement might not seem that important, but it is actually crucial in creating a successful business. If your employees are not engaged, they will not be happy. If they are not happy, two things will happen: they will not perform, and they will look for opportunities to move on. Both of these things can create high employee turnover, and high employee turnover is not only expensive for a business, but can also have a negative impact on client or customer relationships. Gamification is a great way to increase employee engagement, by getting your employees not only involved, but excited about the work they are doing. Gamification is a great way to train your employees, but it extends beyond the regular standard employee training at onboarding. 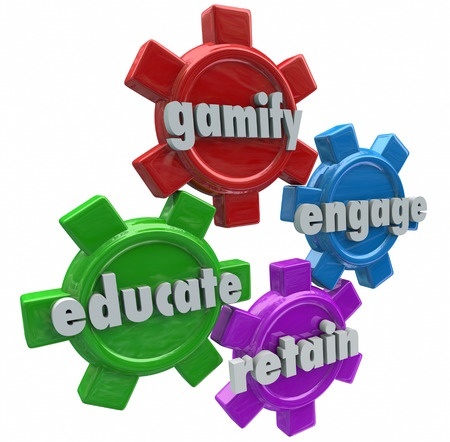 Gamification provides a more interactive and compelling training program that will not only engage new employees immediately, but also lets you set up a constant and competitive training program that will allow you to introduce new subjects and courses that will help you to stay relevant to your consumers and within the market for the long term. With that constant training comes more knowledgeable employees. A smooth-running business needs to have a solid batch of employees who all know the company and the product or service back to front. This includes understanding not only their job, but the job of every person in the company, how it contributes to the greater good, and how they should be working with one another. A successful company is not run by a group of individuals who only stay in their lane, but by a team who can work together as a single organism for the greater good. The nature of enterprise gamification means that you can foster an environment in which proper organization thrives. Using gamification allows you to set goals for your employees, helping them to know what their clear objectives are, and to keep track of them in an easy way. Instead of random reviews once a year, or even once a month, with goals that are soon forgotten, employees are able to view their goals every day and see their progress. This also allows you to track progress more easily. Employee engagement, low employee turnover, and healthy competition are all things which have been tied to consistent results for a company. Gamification is one of the best ways to encourage each of these things, and as such, is of huge benefit to any company that truly wants to succeed.